YourVoiceCLT – Unique voices. Distinct opinions. Share Yours. Your voice can make a difference in Charlotte. By signing-up to take confidential surveys, you will provide valuable information to decision-makers of both programs and policies, directly benefiting you and your community. 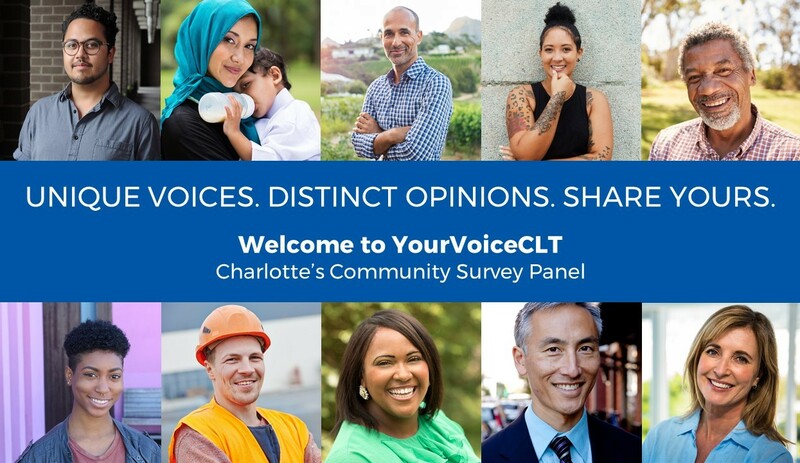 Learn more about what it means to participate and what we hope YourVoiceCLT will become for the Charlotte Community.